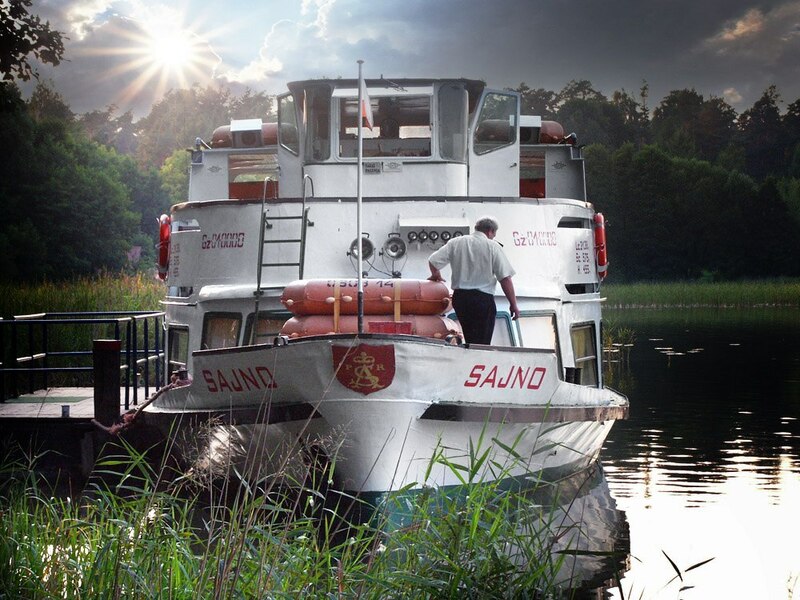 The Sajno, which is a 200 passenger boat, takes passengers of the Augustów Boat Transportation Company on cruises on the Augustów Canal and the Necko, Rospuda, Białe, and Studzieniczne lakes, according to the cruise schedule in the summer months. 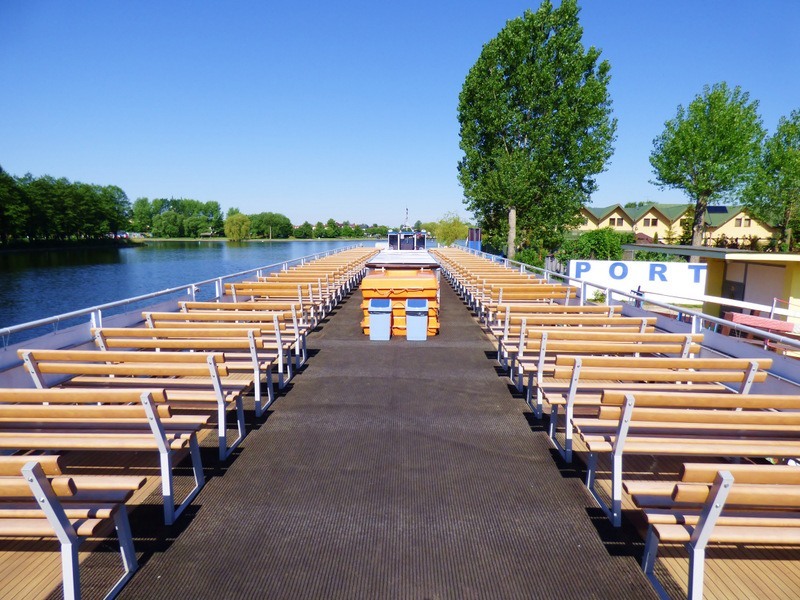 Off season, the boat only cruises when confirmed via e-mail or phone. 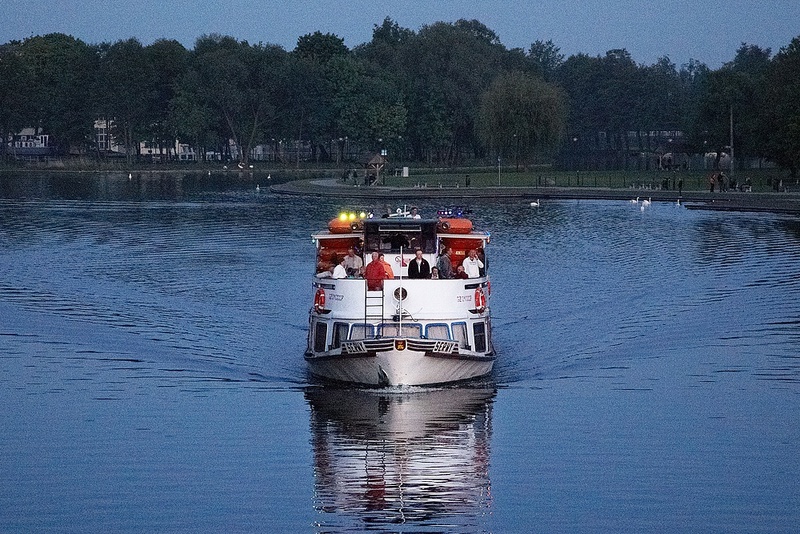 The Sajno is a two deck boat – the open, upper deck is especially attractive for passengers with a snack bar a toilets being located on the covered deck. 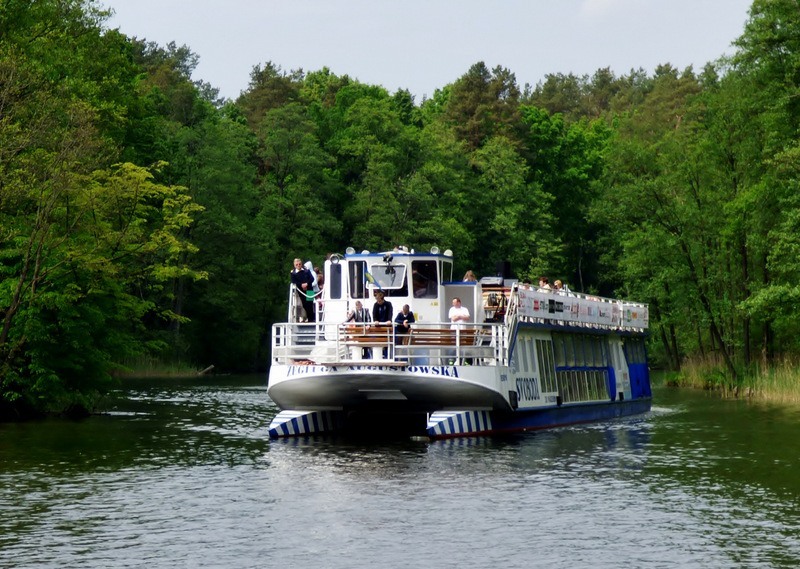 Thanks to this, passengers may enjoy the beauty of the Augustów lakes on sunny days as well as on less than good weather days. 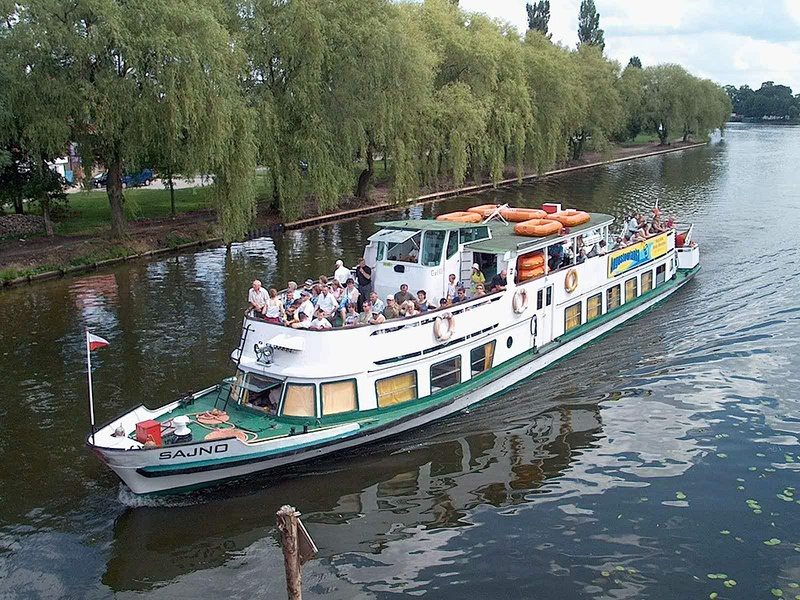 The Serwy, which is a 200 passenger boat, is one of the boast in the fleet of the Augustów Boat Transportation Company and cruises on the Augustów Canal and the Necko, Rospuda, Białe and Studzieniczne lakes. 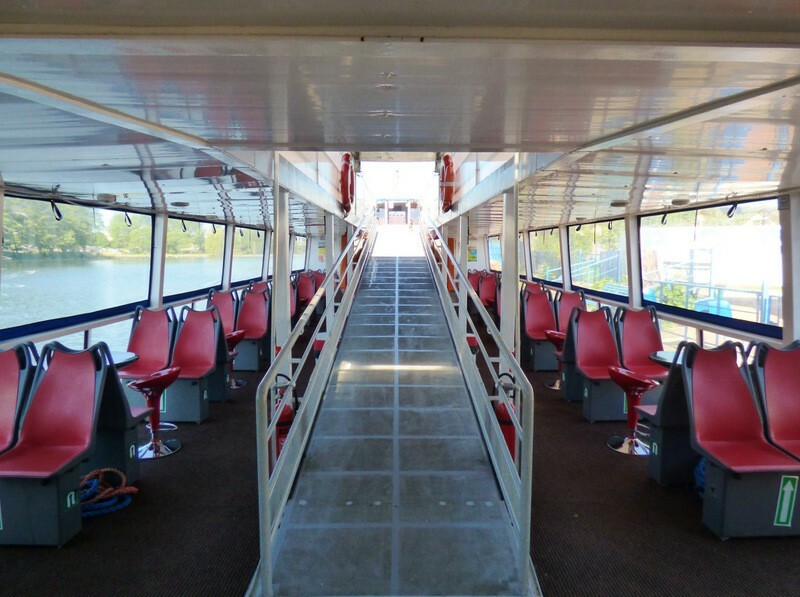 Similar to the Sajno, it has an open top deck and a bottom deck with a snack bar and toilets. 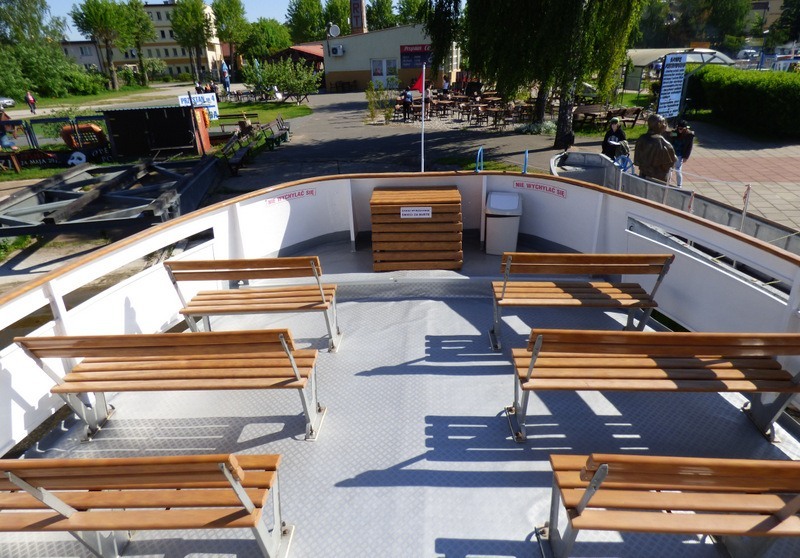 The Serwy is of special importance to the Augustów Boat Transportation Company. 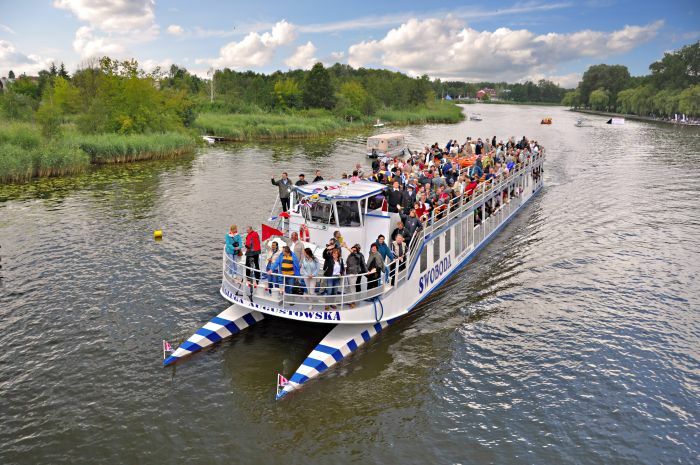 On 9 June 1999, Pope John Paul II took this boat when he cruised on the lakes and the Augustów Canal. 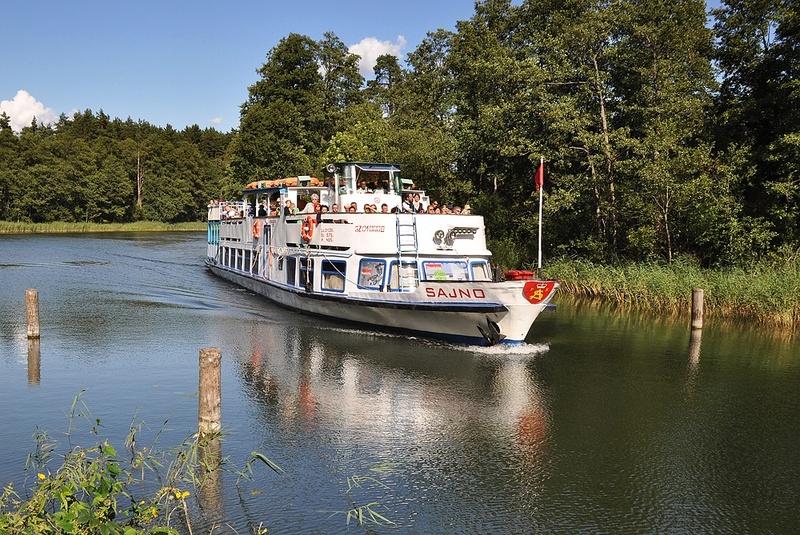 On its way from Augustów to Gorczyca, the boat stopped at the marina in Studzieniczna so that the Pope could visit the Shrine to the Virgin Mary and pray in the chapel. 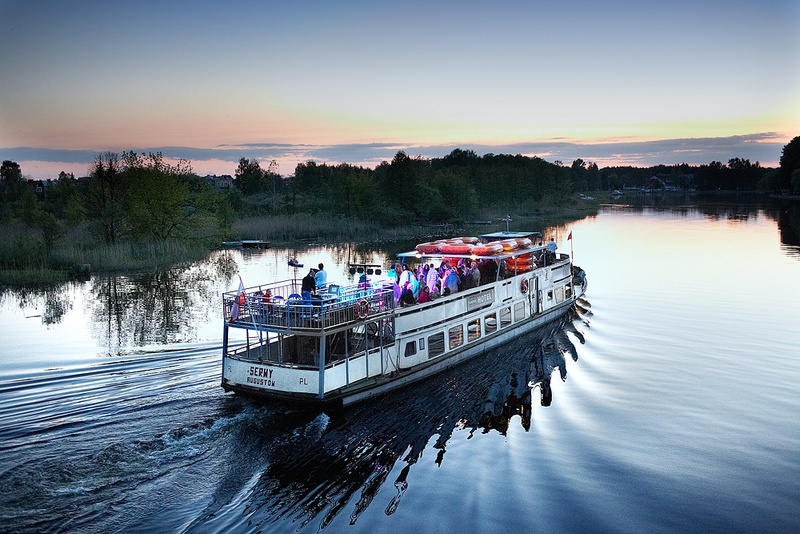 To commemorate this unforgettable cruise, we named the route from the Augustów Port to Studzieniczna the Papal Trail (it goes through the Netta River, Lake Necko, the Klonownica River, Lake Białe, the Przewięź Lock, and Lake Studzieniczne). 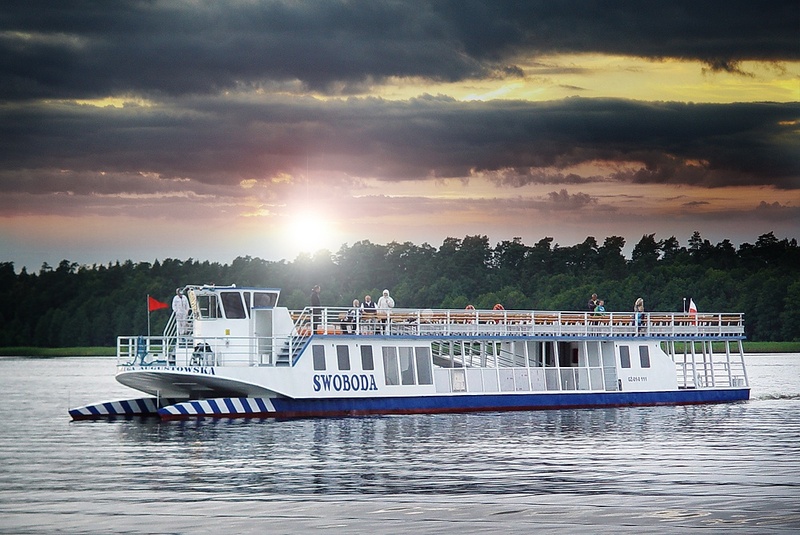 The Swoboda catamaran is the largest and fastest inland passenger boat in Poland. It is 40 metres long and almost 6 metres wide, and may take as many as 330 people on board. Its bottom deck houses a snack bar and toilets. The upper deck is truly impressive and consists mostly of seats. 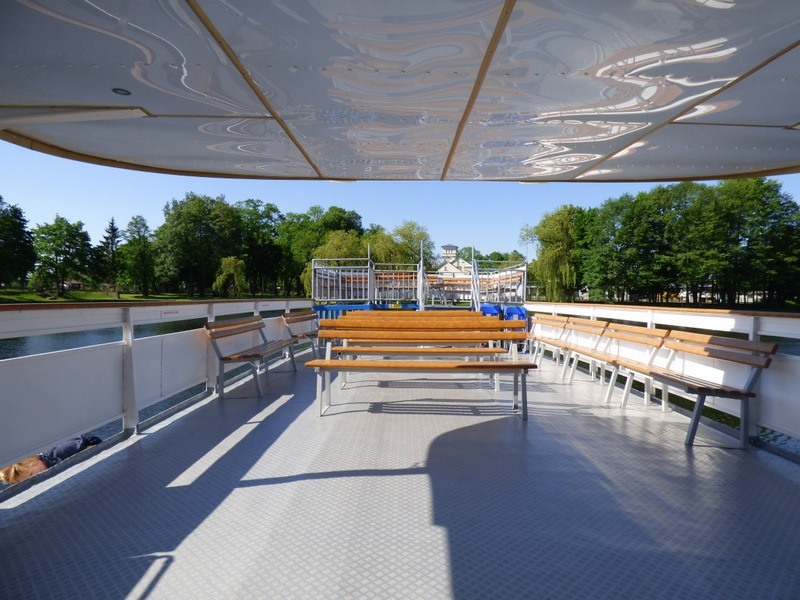 This part of the boat is open and is adapted for admiring the views of the Augustów landscape, rivers, lakes and the Augustów Canal. 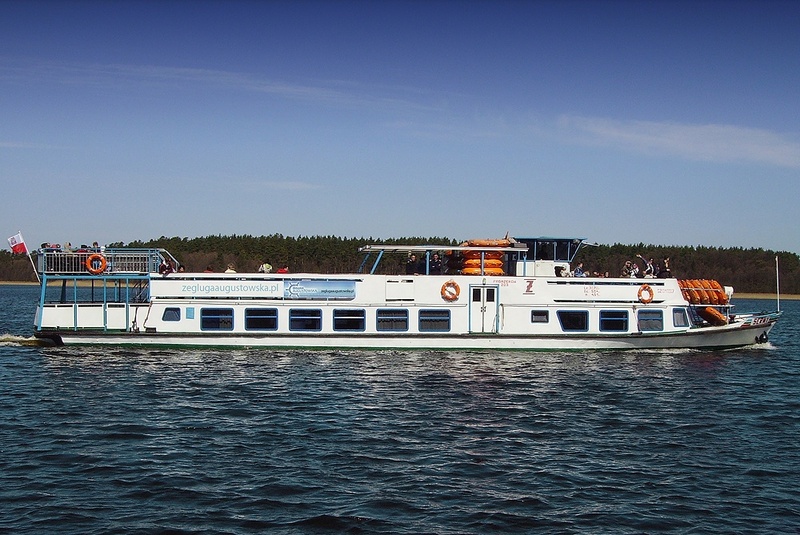 The Swoboda catamaran was constructed in 2012 and is the first passenger boat in Poland build according to the newest directive of the European Union.